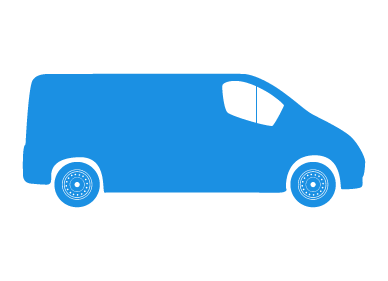 Because we specialise in a variety of van insurance types we're ideally placed to ensure you receive the best protection whilst minimising your costs. As brokers we work with insurers to create tailored commercial vehicle and van schemes for every situation. Whether you are a sole trader with a single van, a company running an entire fleet of commercial vehicles or even a private van owner, you can be sure when you call for a quote today; you will be provided with effective cover for an attractive price. We will find you a quote using a wide panel of insurance providers, making sure you only receive quotes that meet your particular insurance needs. From Transit vans to tippers, pick-ups and double cabs, in fact whatever type of van or commercial vehicles you use, we can offer you an insurance policy that won't break the bank. 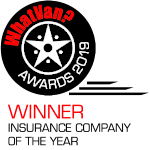 Even if you have had trouble finding competitive quotes in the past, drive a modified van, have previous driving convictions or regularly carry hazardous materials the team of insurance experts here at Adrian Flux offer an unrivalled combination of price and service. Call today for free on 08000 83 88 33 and receive a tailored quote or take a look at some of the specialist insurance policies we offer below. Get an insurance quote tailored to your needs. Receive high quality insurance for pick up vehicles. Commercial or private, find great deals for double cab cover. Cover your modified vehicle and avoid the costs of mainstream insurers. Find cover for your imported van today at a great price. Effective insurance for HGVs; from sole traders to entire fleets. Tipper insurance quotes you simply won't find with other brokers. Ice cream insurance tailored to your requirements. Find cheap cover for your refrigerated HGVs and trucks. Electric or Fuel powered, we can find you cover for your milk float. Remove the need for commercial cover with our tailor made policies. Protection for almost every eventuality with our high quality insurance schemes. Insurance tailored to the needs of courier van drivers. Specialist, low cost schemes just for horsebox owners. Get quality cover for your fleet of commercial vehicles. Competitive rates tailored to your driving history and convictions. All policies are designed especially for you and our underwriting staff have been extensively trained in commercial vehicle insurance. This is not an on-line quotation system using computer rates and instead we only provide a quote once each risk has been individually calculated. Our staff are all insurance experts not just button pushers and along with our tailor made insurance, UK based call centre & wide variety of schemes we're confident we can offer you the best insurance service around. Quicker & Cheaper rates by phone simply by calling 08000 83 88 33. Alternatively, please complete the call me form during office hours 9am to 5.30 pm Monday to Friday & 9am to 4pm Saturday for an immediate insurance quote.